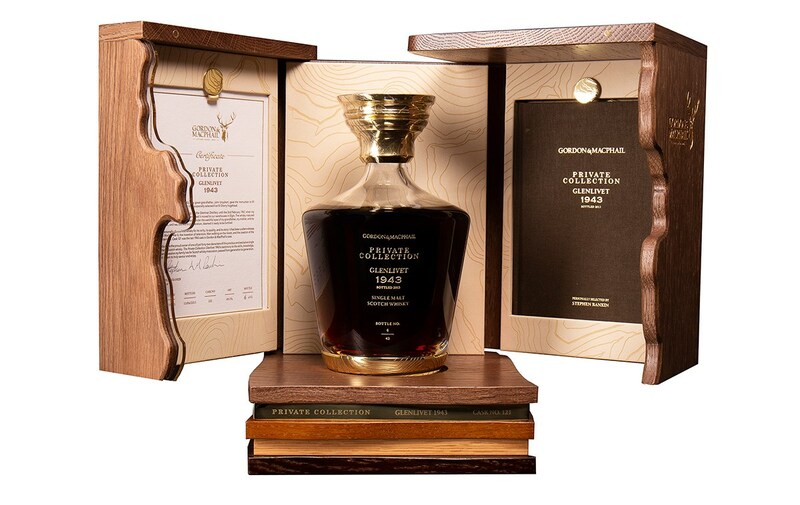 McTear’s was in the whisky spotlight today as a bottle of rare Glenlivet sold for £43,800. Aged for 70 years, the Private Collection Glenlivet 1943 is a true legend in the world of single malts and one of the rarest Scotch whiskies ever to be bottled. The whisky was sold to a bidder from China who had travelled to the auction. The unique spirit, which had an auction estimate of between £30,000 and £40,000, was distilled at the height of the Second World War in 1943, at a time when only a handful of distilleries in Scotland were producing whisky. For the next 70 years the whisky was carefully matured, first at the Glenlivet distillery and then at Gordon & MacPhail’s warehouses in Elgin.